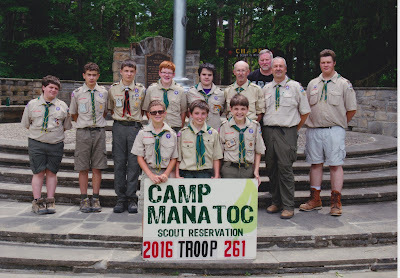 Troop 261 is chartered by Northfield Presbyterian Church in Northfield, Ohio. We have been serving the youth of Nordonia Hills since 1938. We are part of the Tinkers Creek District of the Greater Cleveland Council. We meet every Monday of every month from 7:00 - 8:30. Added 2016-17 Calendar of Events, Troop Calendar and Upcoming Campouts Sections Added the 2016-17 calendar of events as well as updated the troop Google Calendar and the Upcoming Campouts section. Photos from May campout posted. Pictures from the Dead horse Ridge Campout have been posted in the photos gallery. Enjoy! Many Updates to Website There have been several updates to the website made tonight. March Permission Slip and Summer Camp Flyer Added to Documents The March campout permission slip and the Summer Camp flyer have been added to the documents section under the Permission Slips and Camping Documents sections.